In the 1940s over one hundred thousand people of Japanese descent living in America were unjustly sent to live in internment camps. Otsuka’s When the Emperor Was Divine meditates on the harrowing effects of this perpetration. 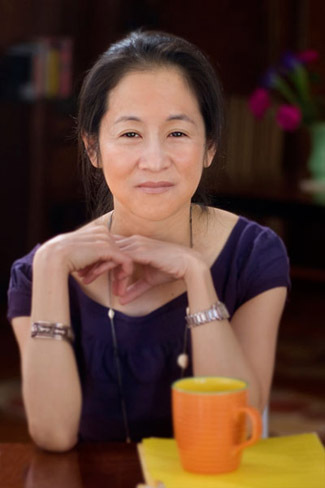 Shedding light on the interior dialogue of a mother, father, daughter, and son who have been imprisoned, Otsuka reveals just how deeply these actions have disrupted the fabric of their lives. Her woeful narrative emanates an understated beauty. The gentle flow of the character’s thoughts and actions are paralleled by rich description of imagery that sometimes borders on the surreal. Her tactics are somewhat similar to Toni Morrison’s, another strong female writer who delves into the human capacity for dehumanizing, demoralizing, and destroying entire groups of people on the basis of race or ethnicity. The father, arrested before the rest of the family, is forced to leave in a particularly humiliating way: in his bathrobe and slippers. His son dotes on this fact almost incessantly throughout the book. It gives him an incredible amount of shame. The mother, before leaving for the camp, is like any other productive member of the community, but in preparation for leaving she has to go through with some sickening acts. In coming back, we see that not only has her role in the community been severed, but that her house is no longer a home and more like a shelter. Upon his own return, the father seems to have become little more than a shattered visage of the man he once was. Here, Otsuka shows her talent at using minimal space to describe an excruciating moment- one in which someone has lost their dignity, feeling undeserving of anything in life. Skillfully manipulating each scene, Otsuka breeds deep empathy within the reader. This novel is a beautiful example of how motifs can add up to something larger than the sum of their parts. 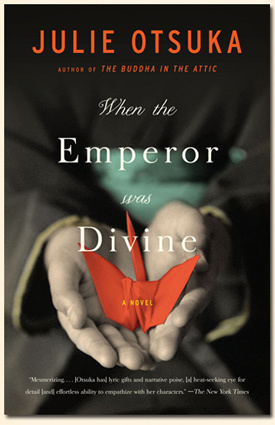 I encourage everyone to put Otsuka’s When the Emperor Was Divine on their priority reading list. Not only because it describes an historical event often glossed over, but because of the way it exposes the awful truths that surround being put down or put out because of one’s race or ethnicity.